Claro Intelecto, one of the most personal electronic music creators, comes back to L.E.V. 11 years after his performance at the first edition of the Festival, to showcase his new album Exhilarator. These 13 tracks mark the return of this producer from Manchester, with new motivations and a reinforced clarity. True to his style, he brings us a sound closer to his first releases, but more diverse and experimental. 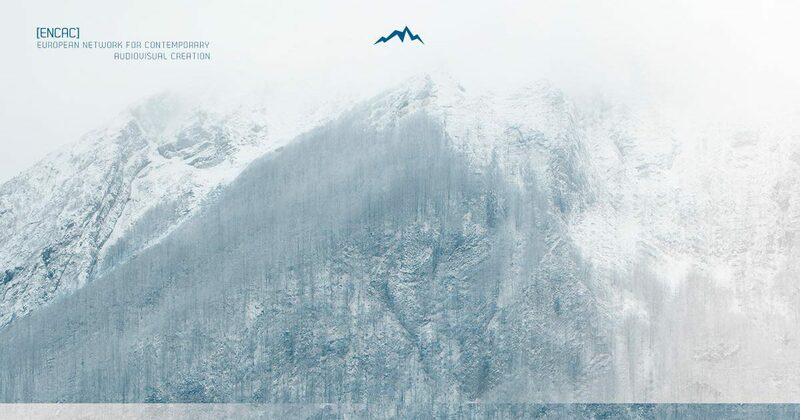 The result is a cinematic album reflecting very different moods and textures, where moments of heavenly beauty combine with windy grooves of frozen techno and heavy basses. SCHNITT, an artistic project by Amelie Duchow and Marco Monfardini, well-known for building their own software and electronic interfaces, presents MEMORY CODE, an A/V performance based on visual memory. Visual memory describes the relationship between the process of perception, codification, storage and the recovery of the representations of neural processing. In Memory Code, SCHNITT works with an image stored in the human mind which will be remembered and recreated combining sound and visual elements, in order to create a virtual memory scanner of some sort, able to send out abstract signals. 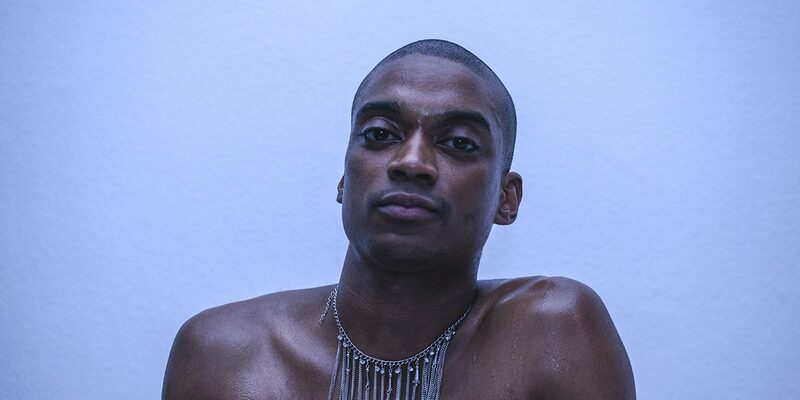 Lotic will showcase POWER, his long-awaited new work, to be released by Tri Angle on July, that will establish him as one of the most unique talents in the avant-garde art scene. 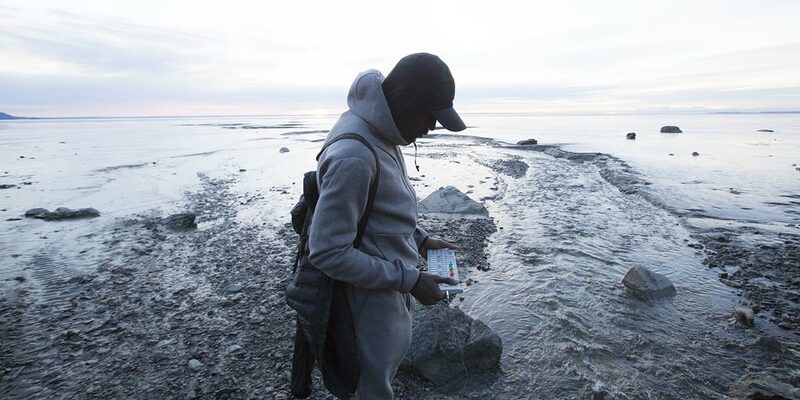 His project presents the most abstract trends in contemporary music in hybrid live shows full of poignant basses and hip-hop beats, to cause a commotion in the scene and open new paths. The alternative vision and form he uses to redefine technological tools have turned French artist NSDOS into one of the most important techno hackers of his generation. Instead of using conventional technological tools and software, he prefers to create his own media: futuristic instruments built from old audio converters, Gameboy emulators and assembled metal parts to build surrealistic machines. Surrounded by his hybrid tools, NSDOS puzzles out the strict anatomy of techno music. Studio Science is a series of workshops and educational videos created by Red Bull Music Academy, focused on showing the creative processes of some of the most creative minds in contemporary electronic music, such as Jamie Lidell, Suzanne Ciani, among others. On L.E.V. 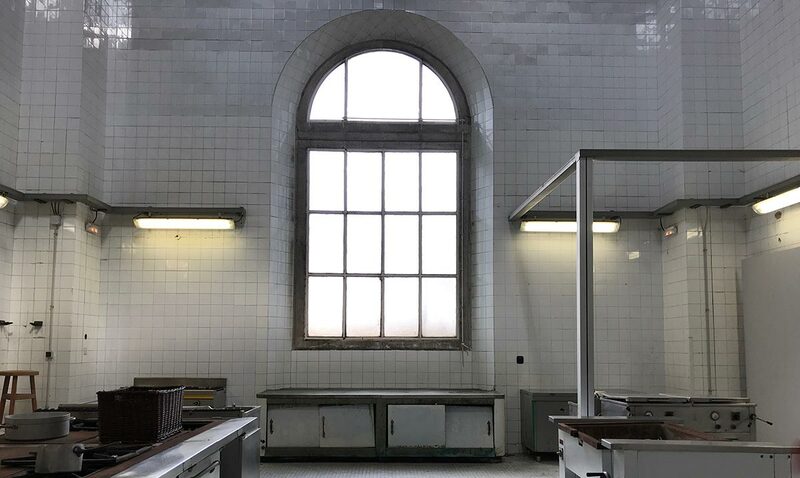 2018, Sonic Robots will occupy the old kitchen of the Laboral building (an incredible, historical space which is only open to the public on very special occasions), to share with the audience his particular creative process based on robotics, artificial intelligence and the composition of sound in real time. Moritz Geist is one of the most fascinating creators in the DIY scene. This musician and robotics engineer has been working for a long time on topics such as how we perceive technology, the robotization of society and artificial intelligence. In the Studio Science he will host in Gijón, Moritz will show the audience how he works with robots to create sounds, how to make a set up with robots, and the idea of sound in real time using objects. FOCUS ENCAC / Nébula by Murcof and Jimmy Lakatos – Synspecies by Elias Merino and Tadej Droljc – A Moment of Transition by Enrique Tomás. 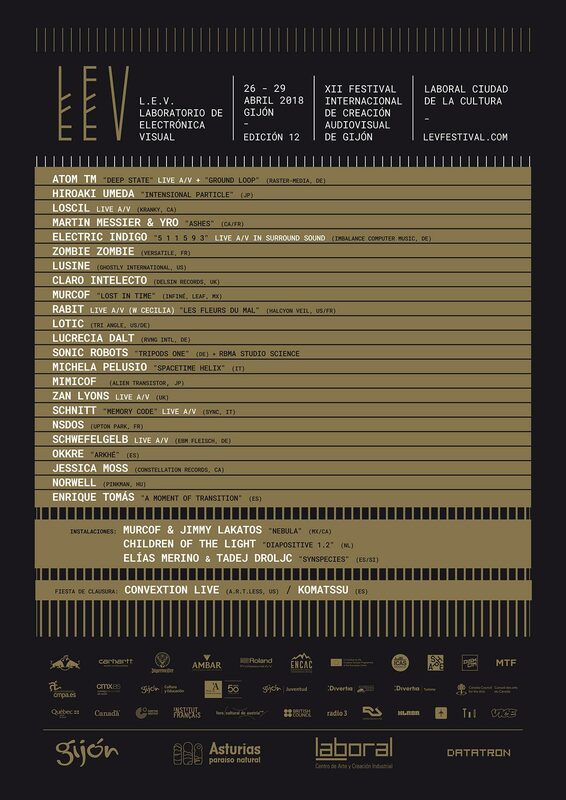 As part of ENCAC (The European Network for Contemporary Audiovisual Creation), a network L.E.V. has helped to found and promote with LABoral Centro de Arte, two worldwide premieres will be shown in an installation format at LABoral, as part of L.E.V. Festival’s next edition. NÉBULA is a large-sized installation created by Murcof (Mexico) and Jimmy Lakatos (Canada), in order to study the relationship between light and cosmos. The audience is invited to a cinematic musical experience through a heavenly imaginary, that resembles a nighttime sky. This project was the result of several months of collaborative effort between Canada and Girona, with a short final residence in Gijón. SYNSPECIES [Spaceless latitudes] is collaboration between Elias Merino (Spain) and Tadej Droljc (Slovakia). Their creation is an audiovisual project inspired by virtual ecologies: spaces of unstable morphology, born out of an interaction of coexistence from non human entities related to the void. This project will be premiered at Laboral SoundLAB. Enrique Tomás, sound artist and active researcher in the field of new interfaces used to create experimental music, presents A Moment of Transition, a project selected in the second call of residencies at the ENCAC network. This performance has been produced with digital instruments, and its shape has been inspired by certain sound gestures, trying to answer the question of how can we codify our musical intentions with digital instruments. In this performance, Enrique Tomás shows us how much our body is responsible when we create those “transition moments” that appear after the handling of objects and before music is born. The result of this meeting is a performance formed by abstract sound materials and deep, resounding textures.